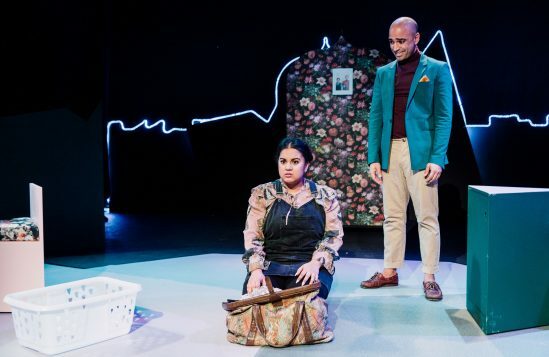 Plays that explore life from the point of view of women of colour are few and far between. It’s a shame, then, that Coconut at London’s excellent Ovalhouse is such a disappointing portrayal of the complexities that surround the British Muslim experience. 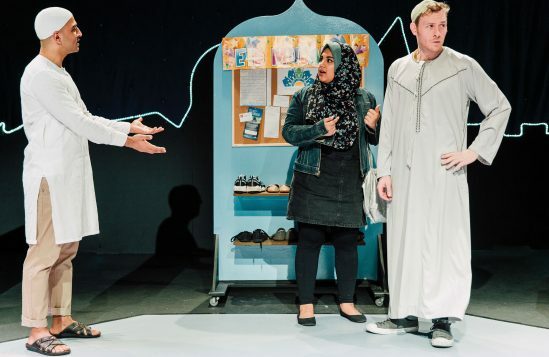 Named for an insult bandied around immigrant communities as someone who is “brown on the outside, but white on the inside”, Coconut introduces us to Rumi. 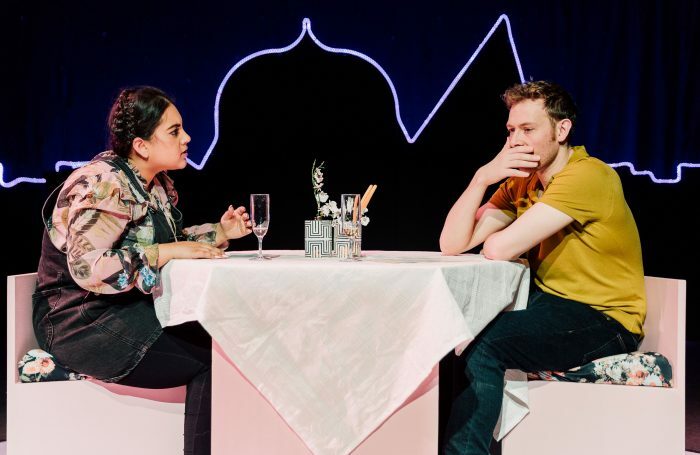 After a disastrous stint halal speed dating wearing hijab and abaya, she meets classic white English guy Simon, in – where else? – the pub. 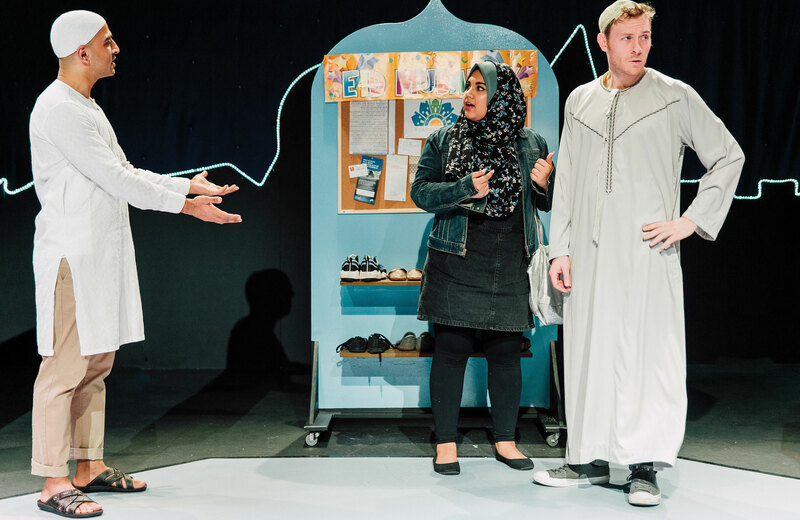 The play gives hazy focus to Rumi’s relationship with her Pakistani culture and Muslim upbringing; beyond liking alcohol and eating pork scratchings, we get little clarity about Rumi’s beliefs, or lack of. 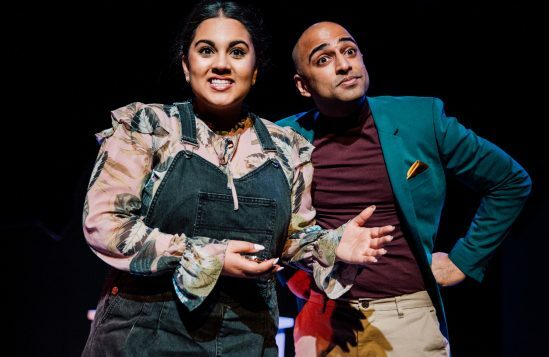 While some lines in the script sting with truth (“making him brown won’t make up for your lack of brownness”), there’s no interrogation of Rumi’s iffy comments – such as telling Simon she’s been told her “skin isn’t actually that brown”. They should be jokes, but like many others in the play (including an end-show bit at a comedy club), they just fall flat. 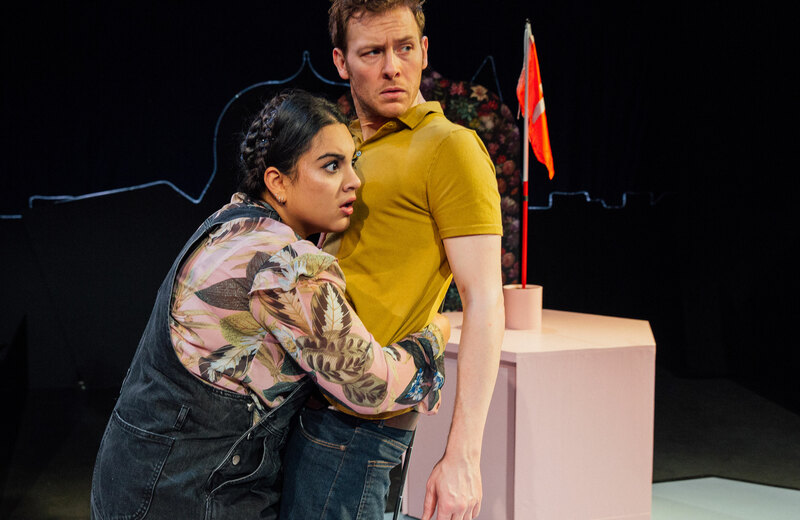 The simple staging looks bare and the pacing continually feels off; scenes either drag on or reach a climax far too quickly, and the jumps in time often don’t register. 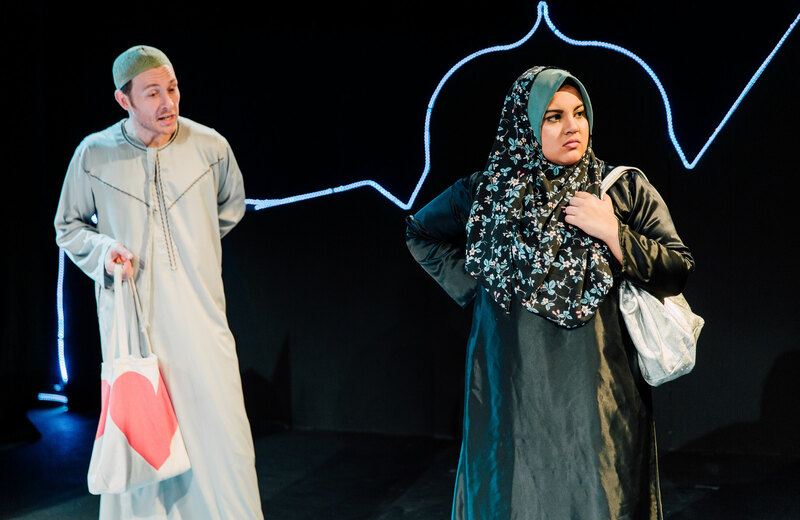 The acting has its bright moments – particularly Tibu Fortes’ turn as a level-headed Imaam – but is mostly overdone. 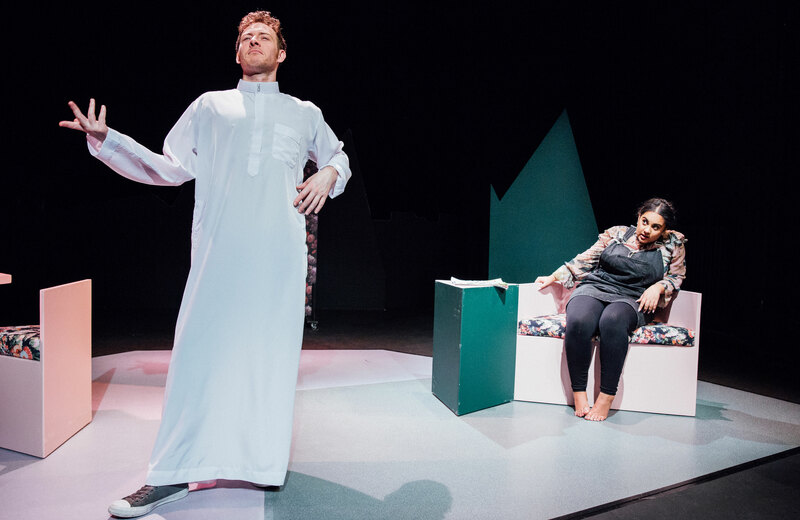 Rumi and Simon are admittedly complex characters, but their chemistry, like the play, lacks a spark.